Nestled in the heart of Soho is this lovely cake shop. Mrs Morengo’s is a small cafe made up of only a few white tables and pink cushioned high stools. 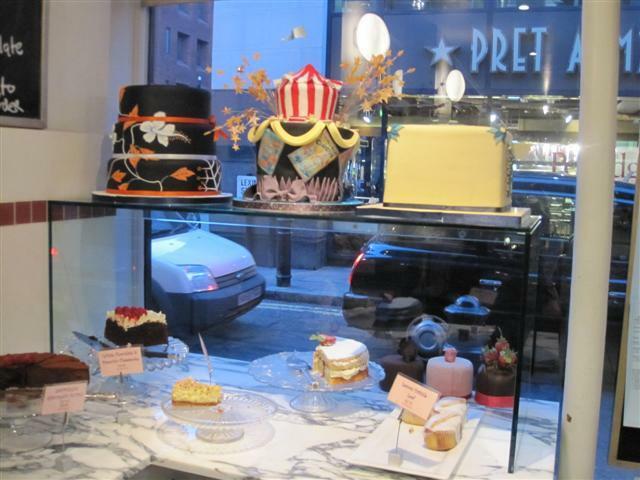 There are quite a lot of cakes, some displayed in the window, others along the side shelf and the rest by the main counter. Most of the cakes were displayed uncovered and there were only about three cakes that were protected by the cake covers. As we’re not fans of uncovered food, this really did limit our choice. This was a shame as all of the cakes looked delicious and had tempting names. For our tea and cake afternoon, we had the lemon and pistachio cake, and the chocolate and pecan brownie. The square portions of the cakes were of a good size. The lemon and pistachio cake was tangy and really moist. 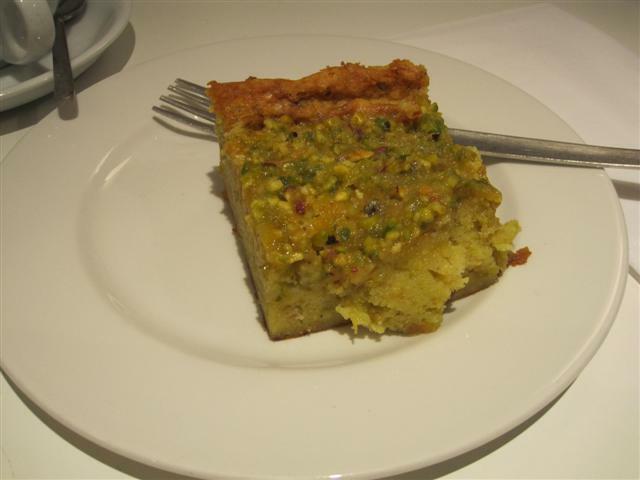 It was topped with a layer of chopped pistachios in a lemony sauce. The combination worked well. 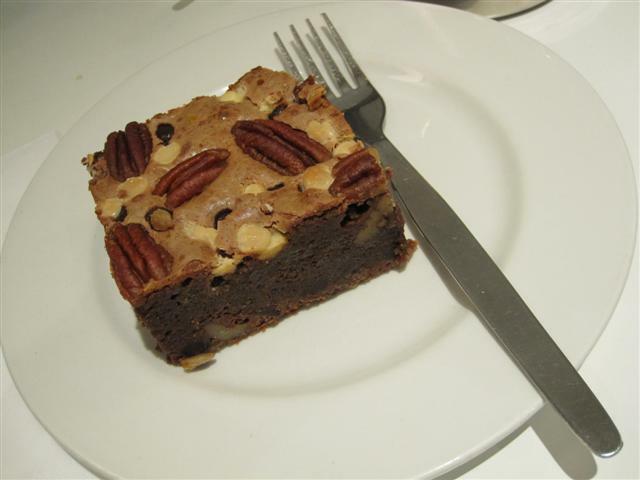 I didn’t try the chocolate and pecan brownie. But just from looking at it, it looked really rich and would be a good choice for someone that loves chocolate. It was topped with a few pecan halves. We had the Early Grey tea to share. This was served in a small metal teapot and there was enough for a couple of cups each. The staff at Mrs Morengo’s were friendly and relaxed. They gave good service and didn’t rush us, even though it was coming close to closing time. Mrs Morengo’s is a nice cake shop to go to if you are looking for a quality sweet treat. It’s a shame that the seating is quite limited.